An election is an event when people make a choice between two or more people or things. In a political election, people vote, or make their choice known, for a person to hold a position in government. There are elections for state governors, senators and representatives, city leaders and issues involving your community. The year 2016 is special because we are voting for a new President of the United States. Voting is a way people in a group make a decision. Have your students ever voted on what type of ice cream to have for dessert, or maybe your children voted whether to play jump rope or kickball at recess. Use this time to think the American way, making political banners, buttons and holding a mock election at school or home. Make this coming November 2 a special Tuesday with your group — VOTE and make a difference! Below are a few activities to use in the classroom or home school. Involve your students to make a “wish tree" where the members of your group can make wishes for our country to clarify what changes they can make (maybe keeping the environment cleaner and litter free, a neighborhood watch for less crime, peaceful days at school; more learning, with less behavioral problems, etc.). Begin by searching for a tiny bare tree or large branch and place it in a pot filled with pebbles. Let the kids decorate this “election wish tree" as they wish with streamers or foil garland. Cut out large stars from construction paper. Instruct your children to write their wishes on the papers. Punch a hole and tie each star on the tree with a loop of yarn. Discuss these questions together. “How can our wishes for our country come true?" “Is there anything a young person can do to help these wishes come true?" “Can you think of a political person who can help these wishes come true?" “Can you think of anyone who had a wish or a dream for our country and then helped make it come true? Tell us about it." Have your children ever had to make a decision about something that was hard to agree on? Maybe you were deciding which book to read or a snack to eat. How did you finally make the decision? Voting is usually a fair way to make decisions. Voting usually involves a slip of paper that is put into a ballot box (major elections use machines in the precinct, but we must keep things simple for young children). To make a ballot box, recycle a shoebox and decorate it with stars, stripes, elephants (Republicans) and donkeys (Democrats). You might need to explain how the animals represent the two political parties. Cut a slit in the box lid and your ballot box is ready. Fill out your slip of paper and insert it into the box. Another fun way to vote is the “yes or no" interlocking link column. Write “yes" and “no" on an index card. Tape this to the wall. Give your students strips of construction paper. Explain that one link represents one vote. Let your children link their own “vote" under the YES or NO sign. Gather the group and present the voting question. Then have your group attach their links to the appropriate sign by making a circle with the strip of paper and taping it together linking to the circle above it. No matter how you vote (ballot box or link), the votes must be counted and the decision announced. 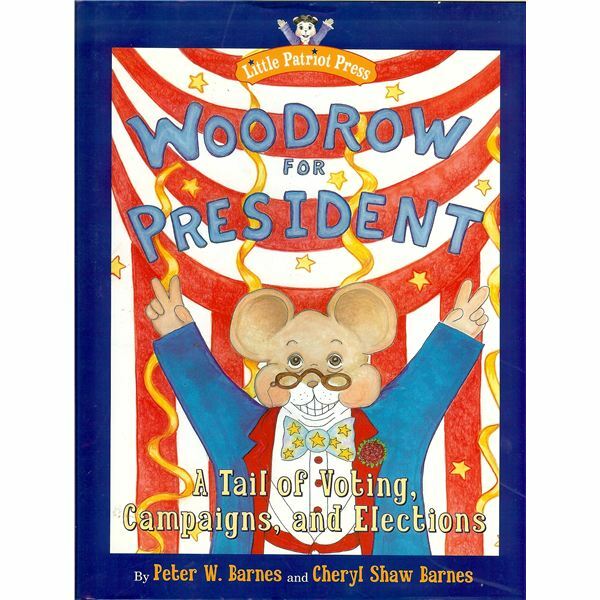 Use stories about voting during this weekly theme unit. Here are a few books to consider.